With its graceful lines and organic ornamental motifs, the Dragonfly is a true Art Nouveau design. Alive with natural decoration, this beautiful and unique radiator makes a striking addition to any room. 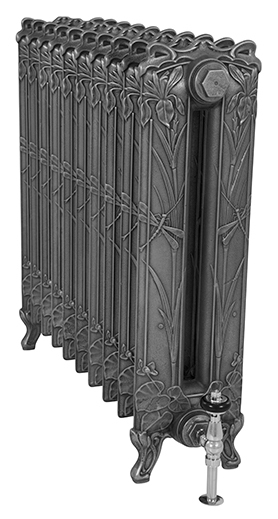 The Dragonfly cast iron radiator is one of the most beautiful radiators on the market. With its graceful lines and organic ornamental motifs, the Dragonfly is a true art nouveau design. 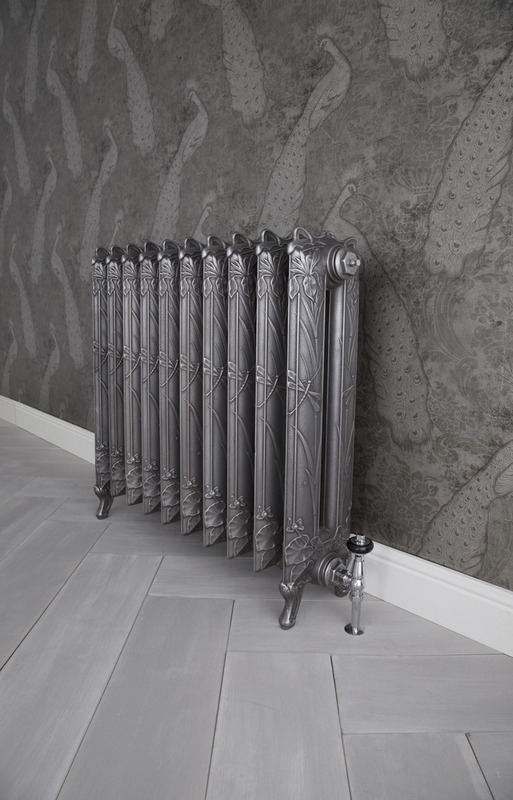 Alive with natural decoration, this beautiful and unique radiator makes a striking addition to any room. 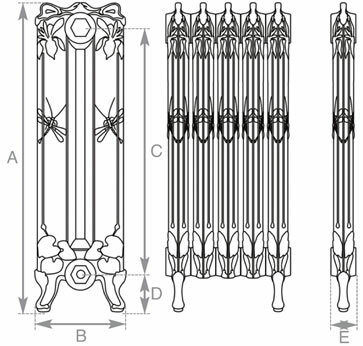 The Dragonfly radiator comes in a height of 790mm tall and is 225mm deep. It has a massive heat output of 689 BTU’s per section based on Delta 60 making this a great choice for large rooms. 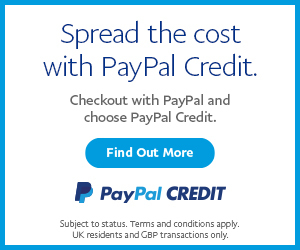 It looks fantastic in a highlight finish and also a hand burnished finish. 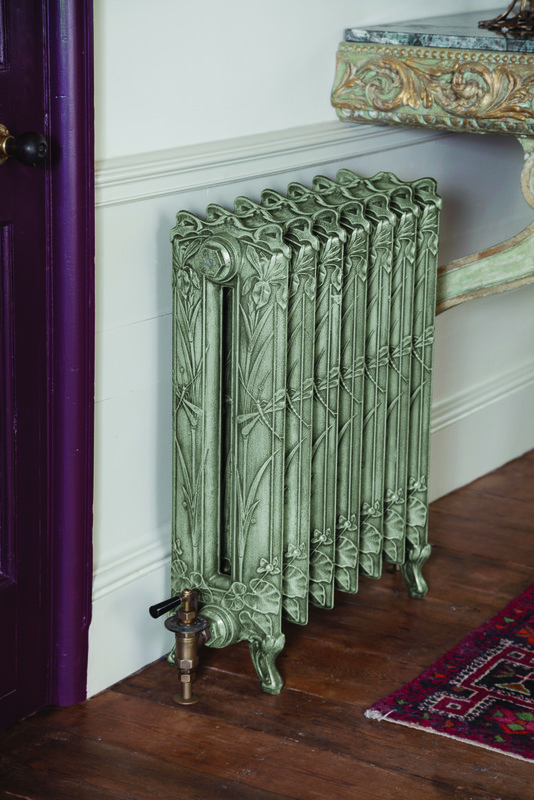 If you want a wow factor then this is the radiator for you. The Dragonfly also works really well in orangeries and conservatories due to its natural botanical pattern.